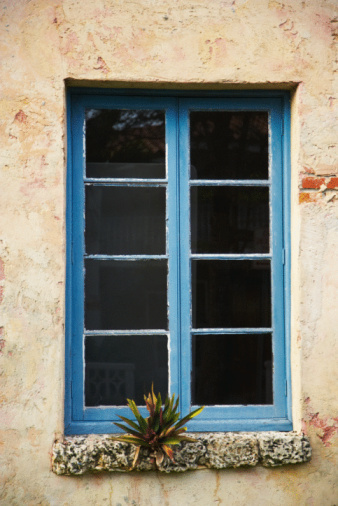 Glazing keeps glass panes affixed to a window frame and keeps water from penetrating the area where the glass connects to the frame. Water entering between the glazed area will cause wooden frames to rot and can glass to separate from the frame. Silicone caulk provides a solid seal for window glazing when properly installed. 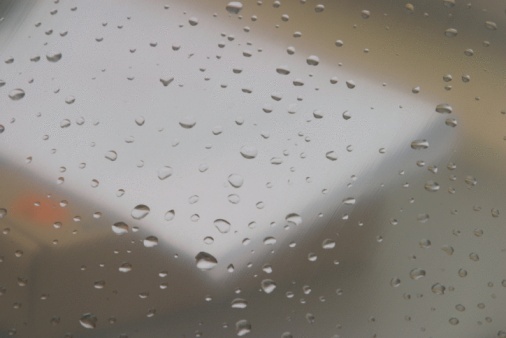 This eliminates the chances of water seeping past the silicone glazing and destroying the newly installed pane of glass. Silicone caulk seals and secures glass in a window frame. Slide the point of a utility knife blade around the connecting point between the plate glass -- whole or broken -- and the frame surrounding the windowpane. Ensure all existing glazing putty or caulk is scored. Pry the wood stops -- securing the glass to the window frame -- by sliding the flat end of a regular screwdriver between the wood stop and the window frame and prying upward on the screwdriver handle. Set each wood stop in a safe location. Pull the glass gently from the frame. Push the blade of a putty knife along the face of the plate glass to remove all remaining glazing putty from the edges of the pane. Secure a tube of silicone caulk in a drop-in caulk gun. Apply a 3/16-inch wide bead a caulk to the face of the wood frame that will sit against the glass. Set one setting block 5 to 6 inches from each corner of the window frame. Press each block firmly into the bead of caulk. Push the cleaned glass against the silicone caulk. Press one wood stop against the glass. Secure the stop with two finishing nails installed gently with a hammer. Install the remaining wood stops to install the window. Wet one finger. Run the finger over the caulk to smooth it to the window.